So what do we do? We ask for the Spirit of God to rise up a Pastor. We ask the Spirit of God to equip Sunday school teachers. We ask the Spirit of God to call more missionaries. We ask the Spirit of God to train our children. We ask the Spirit of God to start a new Church. We ask the Spirit of God to help us with our words. We ask the Spirit of God to lead us when we witness. We ask the Spirit of God to heal, intercede, interpret, and perform miracles. We ask the Spirit of God to guide everything, except our pocket books. So What do we do? 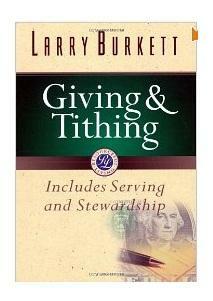 we just play that safe and leave that up to tithing. I’m not the type of person to just spit out a bunch of verses and say, “these verses are so clear about what God says”. I like hearing things myself that just kind of thump you on the head. Like the one statement above, “we’ll just play that safe and leave that up to tithing.” What it does is sum up the folly of the tithing mentality into a sarcastic thought. It’s not going to prove anything but it just shows how the tithing logic is so off. Sometimes i get so sick of trying to prove the role of Spirit-led giving. I can write chapters and chapters about that, but who wants to read all that stuff. There’s plenty of authors and theologians out there that repeat the same points as me. I love the times in life when you say something and it sounds so profound. It’s like, where did that come from? then you feel happy about yourself and you start repeating it over and over in your head so you don’t forget it. I guess that’s kind of what i’m doing now. Are there times when you say something or hear something so profound that no one else seems to be on board with? Hopefully i won’t get any comments like that. If you do want something that is a little more definitive about the tithing argument you can read my tithing rebuttal with supporting verses. That has some of that boring stuff i talked about earlier.